When I got to work on November 13, there was an e-mail from my wife with an announcement about a performance at The Linda. The show featured a group of songwriters who have been working with veterans to put their stories to music. Kathy knew I liked live performance and that the veteran focus would interest me, so she got us tickets. That’s what good spouses do. Darden Smith is the founder of Songwriting with Soldiers (SW:S). He is a singer/song writer from Austin, Texas. The project evolved after he gave a charity performance for a veterans group that showed no visible appreciation for his efforts. Trying to make a hurried exit, he did meet a Marine who noticed his guitar and the ensuing conversation resulted in both men having common experiences and acquaintances; a bond of friendship developed. When his new friend asked Darden to perform for another group of veterans, Darden declined but offered to sit with veterans, hear their stories, and sing their songs. Other songwriters were recruited and a project was born. SW:S was in Albany this November, conducting a workshop at the Albany Vets Center and sponsoring a retreat for veterans and spouses at the Carey Institute for Global Good in Rensselaerville, NY. 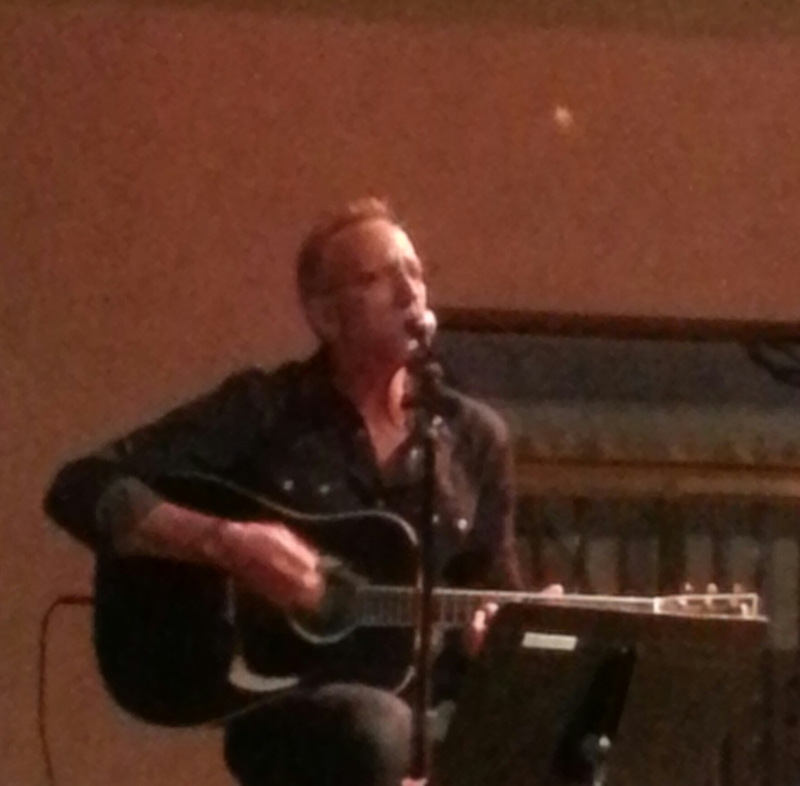 Darden, Mary Gauthier and Gary Nicholson performed at the Linda. Darden opened up the set with the tune Angel Flight, about a pilot who flies Fallen Heroes home. Mary Gauthier followed, telling the story of a woman Army mechanic. It’s a story about MST. I left friends over there and I’m tired of half way home. Some of the songs are from perspectives often overlooked. Gary Nicholson’s song, “Funeral Detail” is about a soldier on the funeral detail. These songwriters collectively spoke about how the work transformed their lives and careers and how hearing their songs set to music empowered veterans to tell their stories and shatter what had been isolation. And that’s what good songwriters do. In the end the evening was about veterans who overcame fear and showed great courage, pride, call to duty, forbearance and hope. And that’s what good veterans do. For more information and to hear the songs, visit the SW:S website. Great story by Dan Abreu. The songs are superb. We should never stop trying to help the combat veterans make sense of the intense experience of war. Good job.